Bananas would probably be my favourite fruit… although I’m a bit of a fruit-aholic, so it’s a hard choice! But anyway, they’re one thing that we always have in our fruit bowl. Usually I buy a few extra bananas and leave them to go really ripe and then pop them into the freezer so that I’ve always got bananas ready to go when the cooking bug comes a-callin’. And it comes a LOT! 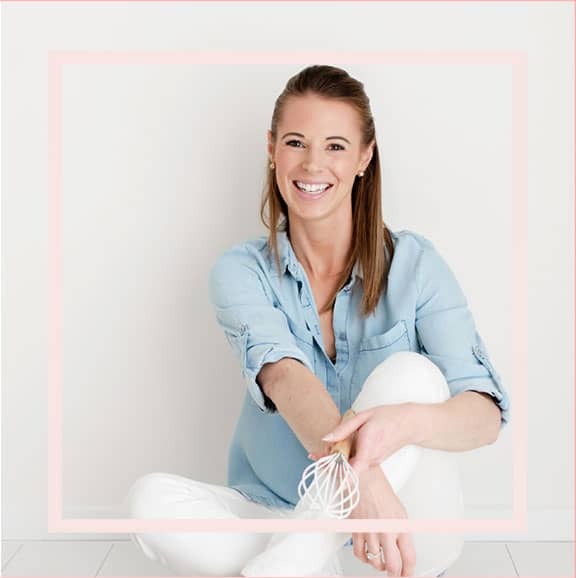 Umm… did someone say double choc chunk banana muffins… or strawberry banana and yoghurt muffins!!?? 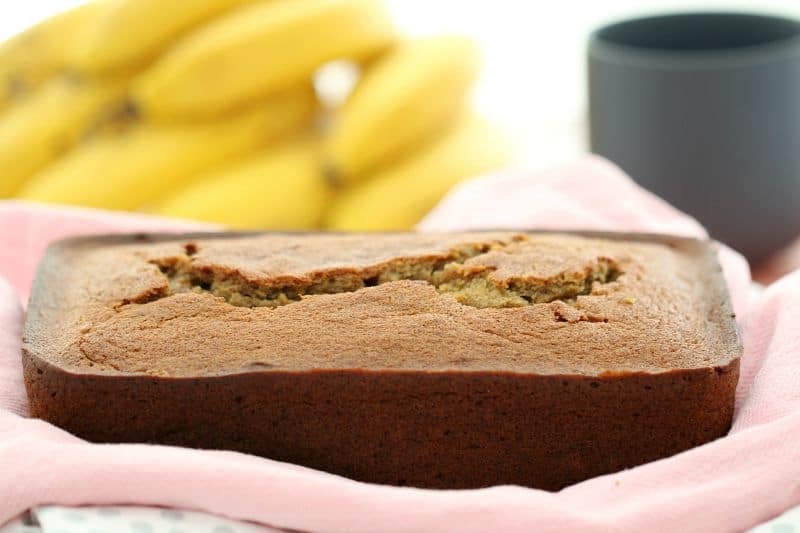 When it comes to cooking with bananas, the riper the better! They may not look the prettiest anymore, but super ripe bananas will give you the best flavour. 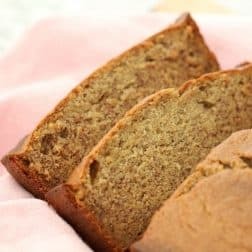 It’s the most deliciously fool-proof banana bread recipe ever… yep I promise that you can’t stuff it up! 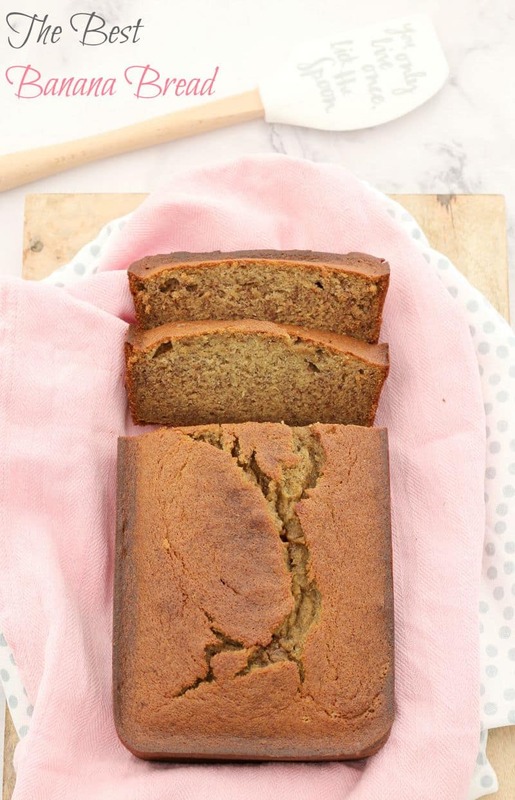 Now this banana bread is pretty fab all on it’s own. I mean it IS called ‘the BEST banana bread’!! But if you want to take it a step further, you could add a slather of butter OR heat it up under the grill with a little bit of honey. Oh boy, oh boy…. now that really is the breakfast of kings (or queens!). 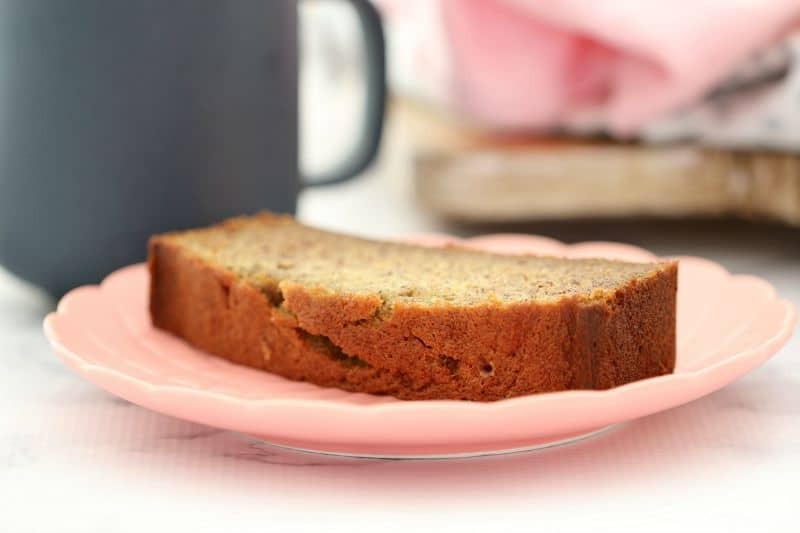 Are you a banana bread lovin’ kinda gal too? 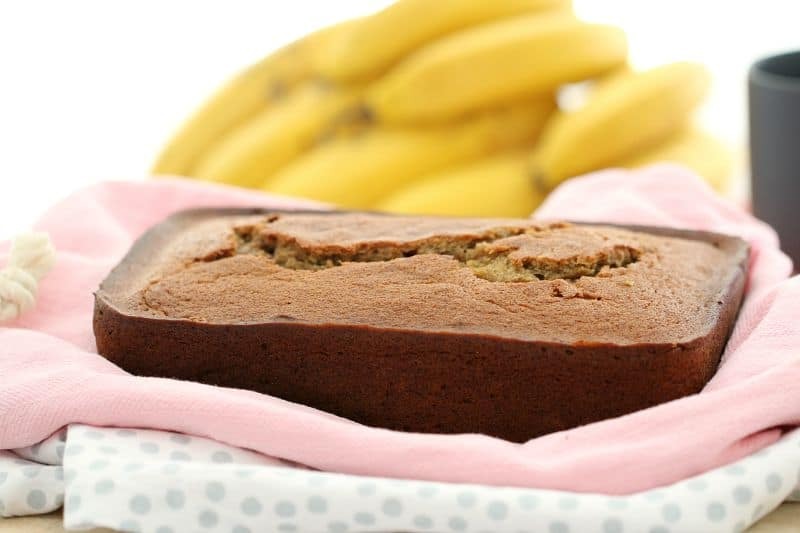 A delicious one-bowl banana bread that is so quick and easy to prepare! Place the softened butter and brown sugar into a bowl. Beat with a stand mixer or hand-held beaters for 2 minutes or until pale and fluffy. Mash the bananas into a small bowl. Add the mashed banana and the eggs to the creamed butter mixture. Beat for 30 seconds or until well combined. Sift the plain flour and bi-carb soda into the bowl. Add the salt and vanilla extract and fold together with a spoon. 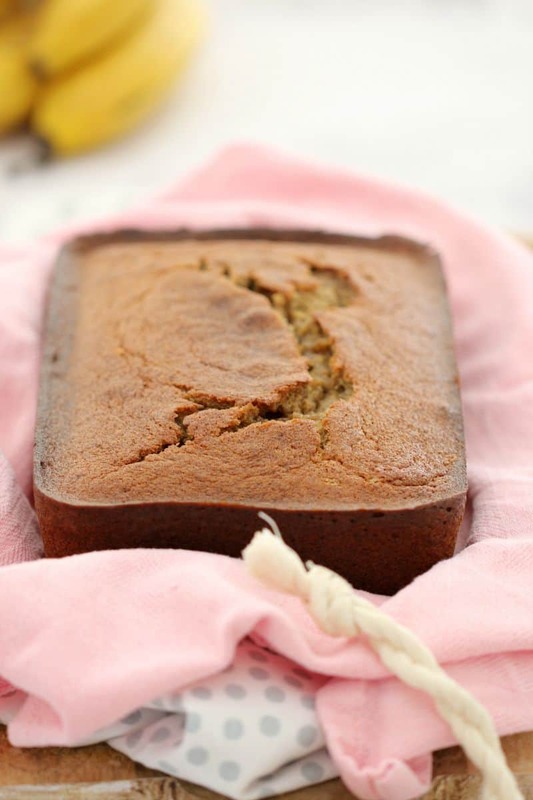 The very best banana bread made in the Thermomix! 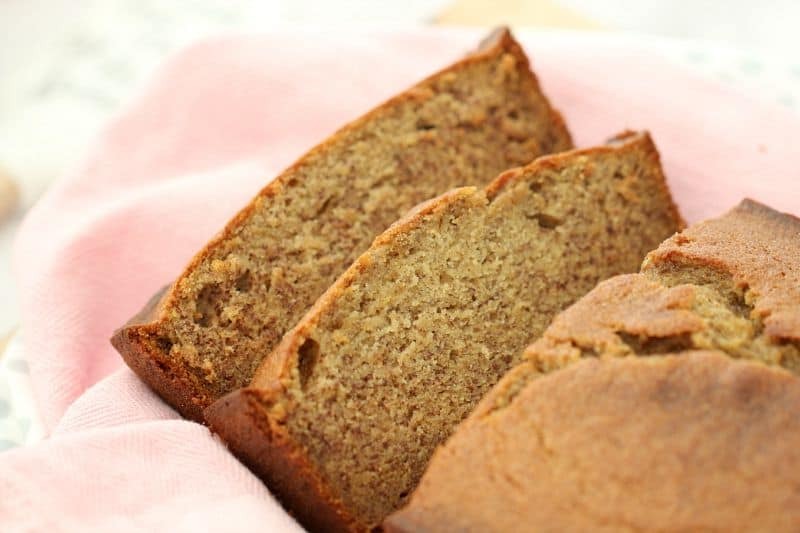 A delicious one-bowl banana bread that is so quick and easy to prepare! 4 bananas the riper the better! 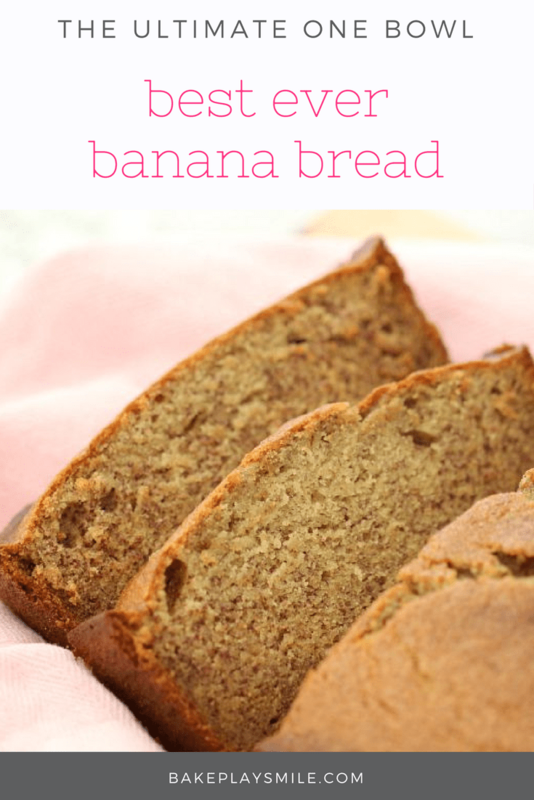 A good banana bread is hard to beat and this is one-bowl one-derful! I LOVE Banana Bread and we make it at least once a fortnight. It’s nice to know I’m not the only one who feels like they live in the supermarket!